vanmeeuwen closed T906: Support flags updates as Resolved. vanmeeuwen closed T906: Support flags updates, a subtask of T94: Copenhagen RESTful API for OpenChange integration, as Resolved. vanmeeuwen closed T490: MAPI: Support more properties of mail messages as Resolved. vanmeeuwen closed T490: MAPI: Support more properties of mail messages, a subtask of T94: Copenhagen RESTful API for OpenChange integration, as Resolved. vanmeeuwen closed T482: Contact distribution lists (groups) support, a subtask of T94: Copenhagen RESTful API for OpenChange integration, as Resolved. vanmeeuwen closed T482: Contact distribution lists (groups) support as Resolved. vanmeeuwen closed T526: Support for Attachments to Contacts, a subtask of T407: Support for contact attachments in Kolab format, as Resolved. vanmeeuwen closed T407: Support for contact attachments in Kolab format as Resolved. vanmeeuwen closed T407: Support for contact attachments in Kolab format, a subtask of T94: Copenhagen RESTful API for OpenChange integration, as Resolved. vanmeeuwen closed Restricted Maniphest Task, a subtask of T406: MAPI: Support for special configuration objects, as Resolved. vanmeeuwen closed T664: Extend kolab_format_config class with new config objects support, a subtask of T406: MAPI: Support for special configuration objects, as Resolved. vanmeeuwen closed T406: MAPI: Support for special configuration objects as Resolved. vanmeeuwen closed T406: MAPI: Support for special configuration objects, a subtask of T94: Copenhagen RESTful API for OpenChange integration, as Resolved. vanmeeuwen closed T94: Copenhagen RESTful API for OpenChange integration as Resolved. machniak added a watcher for Copenhagen: machniak. machniak placed T94: Copenhagen RESTful API for OpenChange integration up for grabs. machniak placed T561: Finish incomplete unit-tests up for grabs. vanmeeuwen placed T406: MAPI: Support for special configuration objects up for grabs. Unassigning as per the uncertainty in T68. vanmeeuwen placed T482: Contact distribution lists (groups) support up for grabs. vanmeeuwen placed T490: MAPI: Support more properties of mail messages up for grabs. machniak added a comment to T916: Fix MAPI dates base. It looks that Mapistore converts dates to unix timestamps. I sent a mail to confirm, so we're sure how to procede. machniak created T916: Fix MAPI dates base. machniak added a comment to T406: MAPI: Support for special configuration objects. Temporarily implemented with SQL storage. machniak created T906: Support flags updates. machniak closed T573: Support separate recurrence exceptions in object container, a subtask of T94: Copenhagen RESTful API for OpenChange integration, as Resolved. machniak closed T573: Support separate recurrence exceptions in object container as Resolved. machniak added a comment to T562: Investigate MAPI folder permissions support MS-OXCPERM. Not yet supported by Openchange REST API. machniak added a parent task for T482: Contact distribution lists (groups) support: T94: Copenhagen RESTful API for OpenChange integration. machniak added a parent task for T573: Support separate recurrence exceptions in object container: T94: Copenhagen RESTful API for OpenChange integration. machniak added subtasks for T94: Copenhagen RESTful API for OpenChange integration: T573: Support separate recurrence exceptions in object container, T482: Contact distribution lists (groups) support, T490: MAPI: Support more properties of mail messages. 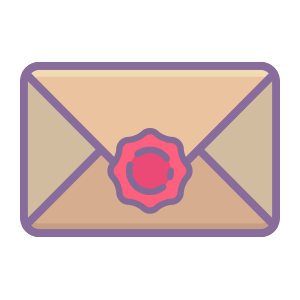 machniak added a parent task for T490: MAPI: Support more properties of mail messages: T94: Copenhagen RESTful API for OpenChange integration. machniak removed a subtask for T94: Copenhagen RESTful API for OpenChange integration: T66: Audio and Video Communication via WebRTC. machniak closed T564: MAPI: Proper handling of HTML in notes/tasks/calendars as Resolved. machniak closed T563: Support more folder properties (like message count, unread count, etc.) as Resolved. machniak moved T566: MAPI: PidLidAppointmentDuration support from Restricted Project Column to Restricted Project Column on the Restricted Project board. machniak closed T566: MAPI: PidLidAppointmentDuration support as Resolved. machniak closed T566: MAPI: PidLidAppointmentDuration support, a subtask of T94: Copenhagen RESTful API for OpenChange integration, as Resolved. machniak moved T565: Finish VALARM property handling from Restricted Project Column to Restricted Project Column on the Restricted Project board. machniak closed T565: Finish VALARM property handling as Resolved. machniak closed T565: Finish VALARM property handling, a subtask of T94: Copenhagen RESTful API for OpenChange integration, as Resolved. machniak moved T567: Finish tag/categories support from Restricted Project Column to Restricted Project Column on the Restricted Project board. machniak closed T567: Finish tag/categories support as Resolved. machniak closed T567: Finish tag/categories support, a subtask of T94: Copenhagen RESTful API for OpenChange integration, as Resolved. machniak removed a subtask for T94: Copenhagen RESTful API for OpenChange integration: T698: Missing events on edges of the view time range (when client timezone is different than server tz). grote added a subtask for T94: Copenhagen RESTful API for OpenChange integration: T566: MAPI: PidLidAppointmentDuration support. grote added a parent task for T566: MAPI: PidLidAppointmentDuration support: T94: Copenhagen RESTful API for OpenChange integration. grote added a parent task for T567: Finish tag/categories support: T94: Copenhagen RESTful API for OpenChange integration.